Wins for a slew of MEA-recommended candidates in Tuesday’s election, highlighted by Gretchen Whitmer’s victory in the race for governor, represent a “course correction” for Michigan and public education, says MEA President Paula Herbart. 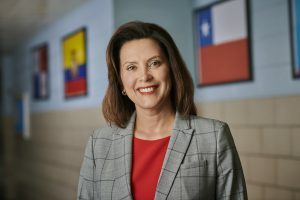 “With Governor-elect Whitmer’s victory, along with many new pro-public education legislators, we look forward to our state’s top elected officials reaching out to front-line education experts—teachers and school support professionals—to ensure their voices are heard before making education policy decisions,” Herbart said in a statement. Now the real work begins, according to Whitmer. “Voters rejected agendas that don’t put our kids’ education first,” she added, noting her pledge to level the playing field and make the state a place where kids stay, families thrive, and people come to for opportunity. “I’m determined to work with everyone who wants to make sure that is the future of our state,” she said. 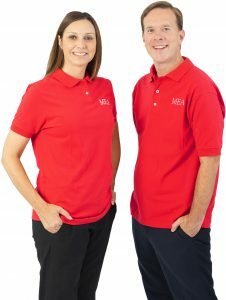 Five MEA members won election to state-level office on the heels of the nationwide #RedForEd movement, including two in northwestern Wayne County who flipped seats from red to blue in tightly contested races: Livonia teacher Dayna Polehanki won Senate District 7, and Monroe County teacher Matt Koleszar will represent House District 20. Voters narrowed the Republican majority to six in both the state House (58-52) and Senate (22-16); chose all eight MEA-recommended candidates for statewide education boards; and for the first time picked women for all three of the state’s top elected posts. In addition to Whitmer, Jocelyn Benson won secretary of state and Dana Nessel was elected attorney general. All three women were recommended by the MEA Statewide Screening & Recommendations Committee. U.S. Senator Debbie Stabenow won re-election with a continuing recommendation from MEA. 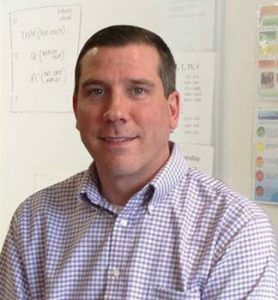 Every little bit helped for MEA member Nate Shannon, a L’Anse Creuse economics and history teacher and Sterling Heights city council member who won a solid 54-46 victory in a split district. With his message of fixing the broken school funding system, Shannon found bipartisan support that was key to his victory. 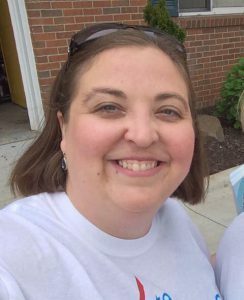 Lori Stone, a fourth-grade teacher in Warren’s Fitzgerald Public Schools, had a decisive win in the general election in her second bid for House District 28. She knocked off an incumbent Democrat in the August primary. MEA-Retired member Sheryl Kennedy, a principal in Walled Lake, won her House District 48 seat by 10 points after vanquishing two opponents in the primary with 73 percent of the vote. She called a meeting with her building’s staff on the day after the election. The governor-elect has a track record of working across the partisan aisle, and that gives Kennedy hope that problems can get solved. “I have nothing but confidence in Gretchen Whitmer as our leader,” she said. Five MEA members who ran strong campaigns in solidly Republican districts did not win their races but succeeded in challenging previously uncontested areas of the state. They include MEA-Retired member Kathy Wiejaczka in HD 101; Dawn Levey in HD 93; Jennifer Aniano in HD 63; Amber Pedersen in HD 57; and Craig Beach in SD 28. All of MEA’s recommended candidates appear to have won their races for governing boards at University of Michigan, Michigan State University, and Wayne State University. In addition, wins for MEA-recommended candidates for the state Board of Education changed the party split from 4-4 to 6-2. 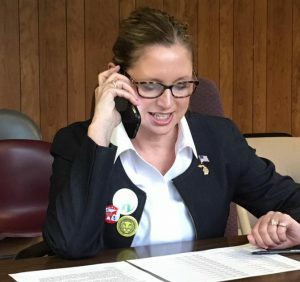 The midterm election drew the highest turnout in Michigan in nearly 60 years, and MEA members were part of bringing about change across the state—volunteering for local and state candidates, making phone calls, writing postcards, knocking doors and donating to MEA-PAC, MEA President Herbart said. “From volunteering to voting, everyone made a difference for our students and our profession, and we should be proud of what we accomplished together,” she said.